If you’re interested in rolling over your 401k retirement plan there are certain rules that need to be followed. Here are the 401k rollover rules that must be considered. In a 401k rollover, you transfer funds from one 401k account to another type of retirement account. But, the IRS has certain 401k rollover rules that you must follow when you’re rolling over your 401k. It’s important that your 401k rollover is done properly. Mistakes can be treated as an early distribution and would leave you subject to taxes and early withdrawal penalties. You’re typically eligible for a 401k rollover if you’re under age 59 ½.You have 60 days to make the rollover.You must rollover to another qualified employer’s 401k plan, a traditional IRA, or another qualified retirement plan. There are two basic 401k rollover options. You can do a direct rollover where funds are automatically transferred from your old plan into a new plan. Or, you can do an indirect rollover where you get a check for 80% of your amount and make a 100% rollover into a new retirement plan. 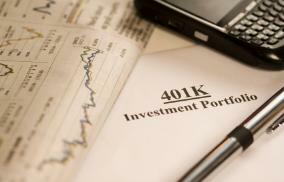 A direct 401k rollover is perhaps the easiest way to rollover assets from your old 401k plan. To do the rollover, you’ll have to fill out some paperwork with the previous 401k plan administrator letting them know how much money should move over and where the funds should be moved to. The financial institution makes the transfer and since you never have to make a withdrawal to do the rollover, there’s less risk of taxes or penalties. A direct 401k rollover is typically best the option because you avoid the withholding and fees that come with an indirect 401k rollover (discussed next). There’s no limit on the number of direct 401k rollovers you can do a year, so if you’re moving from job to job, you don’t incur a rollover penalty each time you move funds. If you plan to rollover the funds yourself, you’ll need to withdraw the funds from the 401k plan. However, there’s no major drawback to this method – the plan administrator is required to withhold 20% of the withdrawal, even if you’re rolling over to the new retirement plan. Even though there’s a 20% withholding, you’re still expected to make a 100% rollover to the new account. That means you have to make up that 20% withholding some other way. Fortunately, you can get a credit for the $20,000 on your taxes for that year as long as you complete the rollover within 60 days. For example, if you plan to rollover $100,000, your plan administrator will send you a check for $80,000 and withhold $20,000. You then have 60 days to deposit $100,000 in a new retirement plan or else you’ll face tax penalties. You’re not eligible to take a 401k distribution until you reach age 59 ½, so if you don’t rollover funds within 60 days, you’ll have to include the withdrawal in your taxable income and you’ll pay a 10% early withdrawal penalty (in addition to the 20% withholding). If you’re over age 70 ½ and no longer working you’ll also be required to take your required minimum distribution (RMD) before you can rollover the 401k. The RMD table is based on the size if your account and life expectancy based on IRS rules. When you’re deciding where to rollover IRA funds, make sure you consider the fees. Some types of retirement plans have higher fees making them a less attractive vehicle for housing your 401k funds. Rolling your 401k into an IRA may give you more investment options (and it’s the only option if you’re still unemployed or your new employer doesn’t have a qualified plan available for you), but you might also face higher fees with this choice. This option gives you a broad choice of investment choices. You don’t have to rollover your 401k just because you’ve left your employer. If you have more than $5,000 invested in your 401k, you may be able to leave your funds where they are. You’ll still accumulate interest and you can make the rollover later. You don’t want to cash out your 401k, though, unless you’re facing an extreme financial emergency that can’t be solved any other way. If you don’t do the rollover, you’ll owe the government and you’ll have to pay a penalty if you haven’t reached retirement age.